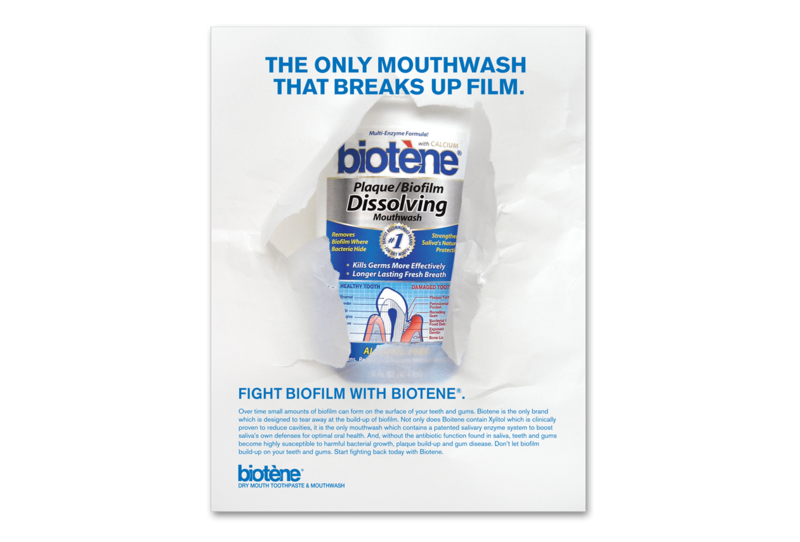 For more than 20 years, Biotene has led the development of biological products that utilize the body’s natural defense systems to prevent and treat gum disease caused by dry mouth. Biotene continues to pioneer new biological approaches that can help the body strengthen its defenses against harmful pathogens. The company is constantly working to create the best and most advanced products possible, and has partnerships with several organizations including the Oral Cancer Foundation and UCLA. Biotene sought to increase their market share in a medically specialized segment of oral care products. 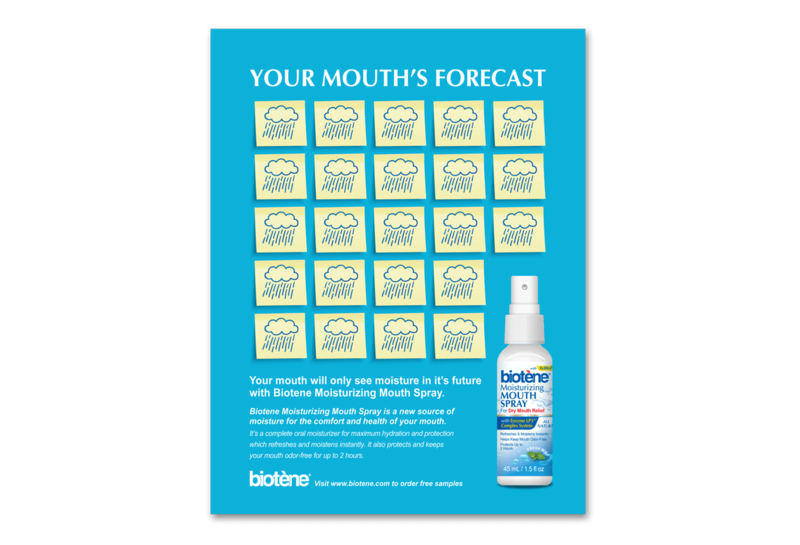 They wanted to target medical professionals and those in the oral health industry and persuade them to recommend Biotene products to patients and people with special oral care needs. 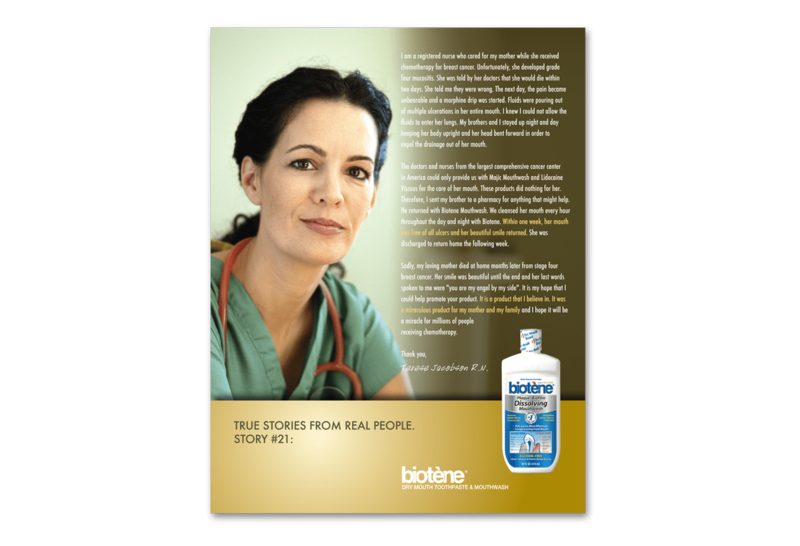 I worked with Biotene to create a series of trade print ads showcasing various Biotene products. I created a commercial “look and feel” that was far from the standard trade ads which saturate the medical marketing field. Design and messaging spoke to solving the problems associated with oral care issues such as dry mouth, bad breath, and excessive biofilm build-up. 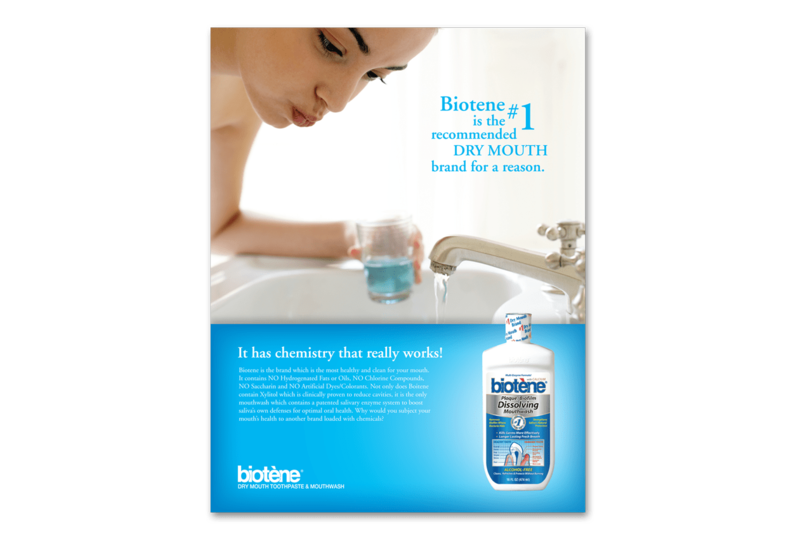 The ads stood out in the trade publications and got people asking for Biotene.